U.S. Small Business Administration (SBA) has partially funded the NBDC Small Business Management and Technical Assistance program since 1977. NBDC is one of 63 small business development centers (SBDC) in the United States and its territories. U. S. Environmental Protection Agency (EPA) provides funding to NBDC for its Pollution Prevention Regional Information Center, which provides the latest information in sustainability to organizations and their service providers throughout EPA Region VII (Iowa, Kansas, Missouri and Nebraska). Defense Logistics Agency provides the Army, Marine Corps, Navy, Air Force, other federal agencies and partner nation armed forces with a full spectrum of logistics, acquisition and technical services. DLA sources and provides nearly all of the consumable items America’s military forces need to operate – from food, fuel and energy to uniforms, medical supplies and construction material. The DLA supports NBDC's procurement technical assistance progam. College of Busines Administration at the University of Nebraska Omaha's (UNO) provides leadership and funding for the Nebraska Business Development Center. It houses the NBDC state administrative and Omaha consulting center offices and sponsors centers in Scottsbluff and Auburn. Chadron State College, a long-time partner, partially funds the center in Chadron. 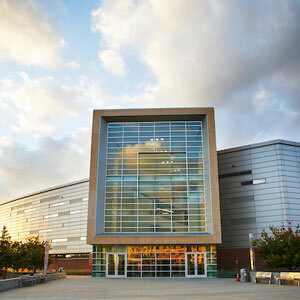 University of Nebraska-Lincoln hosts the center at Lincoln. University of Nebraska-Kearney partially funds centers at Kearney and Grand Island. In 1977, UNO was awarded one of only seven federal contracts to operate a University Business Development Center. In 1980, President Carter signed the Small Business Development Center Act, which changed the University Business Development Center demonstration project into the permanent Small Business Development Center (SBDC) program. In 1981, UNO played the leading role in creating the Association of Small Business Development Centers, which is now the professional development and advocacy organization for the small business development center movement. In 2011, UNO became just the eighth program to receive accreditation by ASBDC and SBA as a Small Business and Technology Development Center. Since its start, NBDC has recognized a responsibility to provide professional level consulting assistance to small businesses in rural Nebraska—assistance available through no other service. 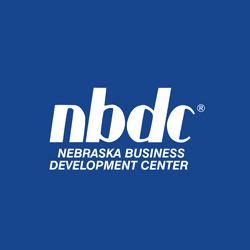 NBDC seeks to provide to small businesses in Nebraska a level of consulting assistance that is superior to any other in Nebraska. In achieving that objective, every NBDC consultant is a qualified professional by virtue of his/her level of education, training and depth of experience. As a university-based business consulting program, NBDC engages the knowledge and energy of the faculty at UNO and at its partner institutions: University of Nebraska at Kearney (UNK), Wayne State College, Mid-Plains Community College, Southeast Community College, Peru State College and Chadron State College (CSC). As a university we are committed to training our students in the application of the business knowledge that NBDC provides to its business clients. Thus, NBDC provides graduate assistantships for Masters of Business Administration and other master's program students at UNO and Chadron State College.